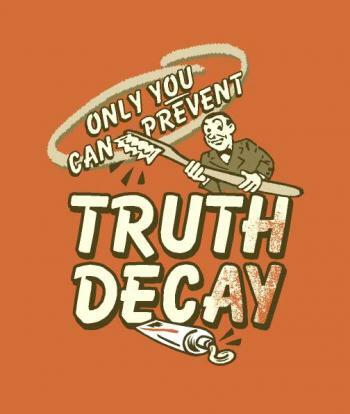 Truth Decay is a slow rot eating its way through the moral fiber of our society. Advertising distorts truth to squeeze money out of a consuming public that is afraid to smell offensive or have dishes that are less than bright. Our government twists facts and mangles truth to convince a fearfully credulous citizenry that danger, i.e: terrorism, weapons of mass destruction and imperialism, are threats from distant lands rather than clear and present policies in our homeland. 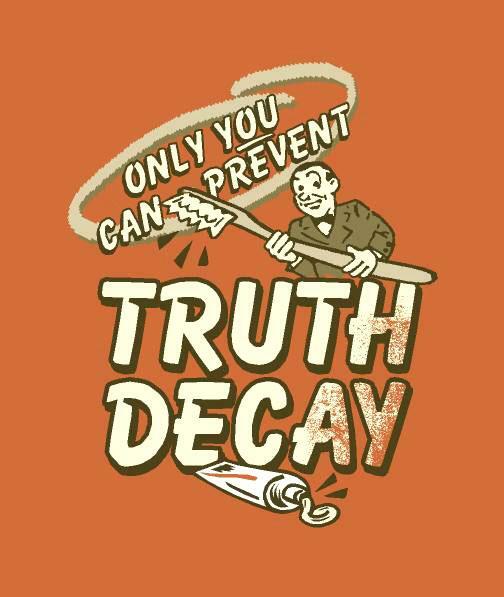 Remember, only you can prevent Truth Decay!